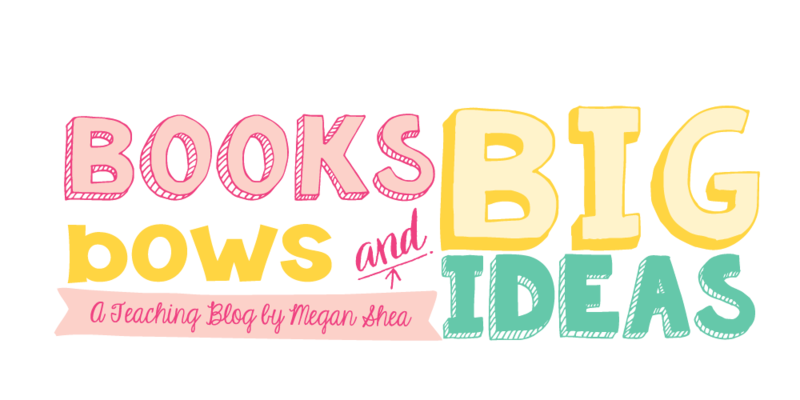 I can't believe I am writing a back to school post now! Ever since Vegas, we have been so excited to get started with back to school preparation! 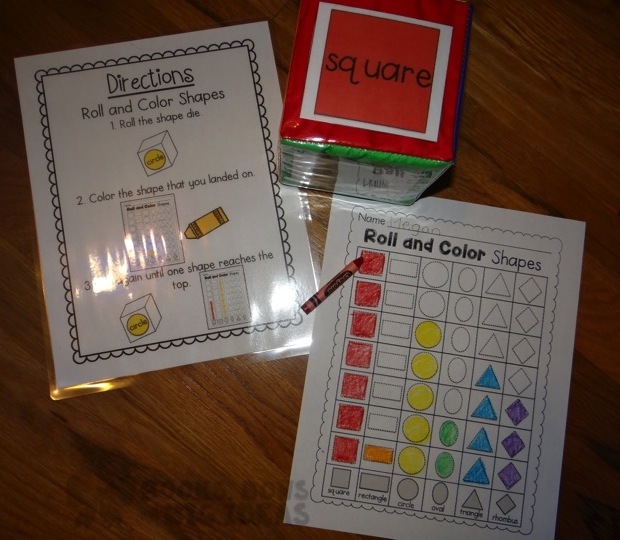 This year, we really want to focus on hands on games and activities in kindergarten. 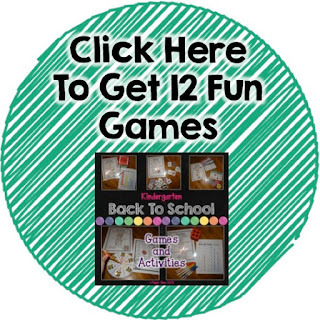 I am starting to get our back to school themed activities together and created a bunch of really exciting games! 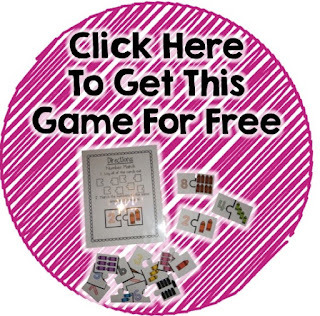 We will be using these games in early finisher tubs this year, we always have a few kids that are done very early and a few kids that are done way late, so we are trying early finisher tubs this year. I am so excited about this! I love including directions with pictures with each activity, so that the kids can see the directions and work independently. Here are some of the activities that we will be doing during the first few weeks of school. Roll and Color Shapes: This game is so much fun! Kinder kids love using dice, these differentiated dice make everything so much better. I also made one with a foldable paper dice. 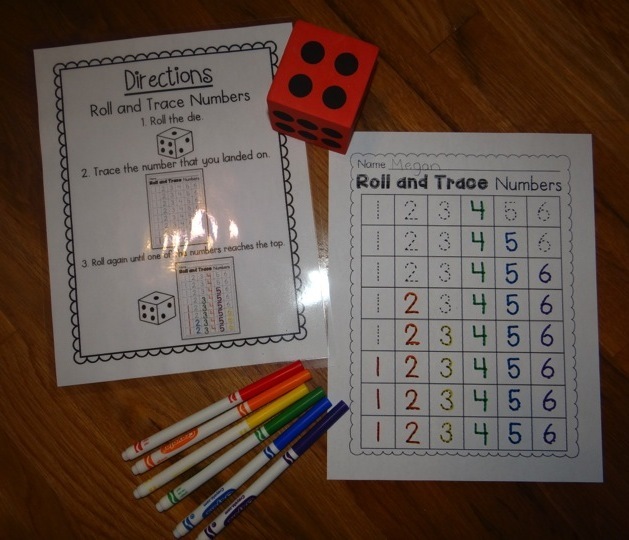 Roll and Trace Numbers: This one is perfect for both counting and tracing numbers. 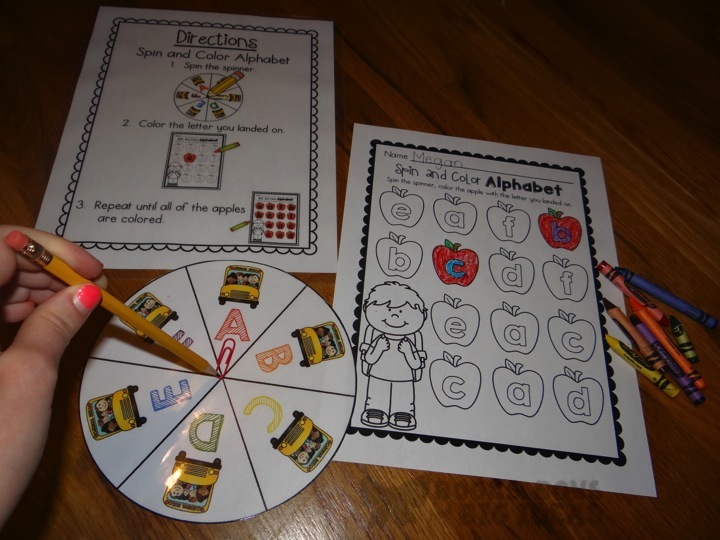 Spin and Color Alphabet: The students will have to spin a spinner, then color the apples with the lowercase letter. 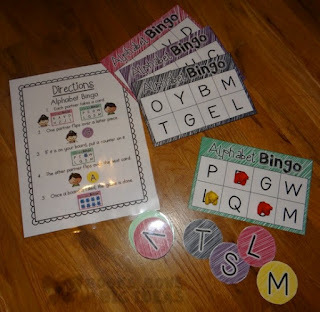 This is perfect for matching uppercase and lowercase letters. 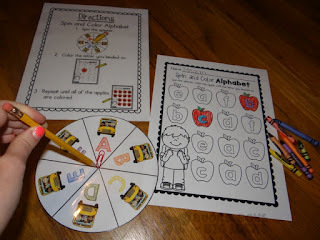 It only focuses on a few letters at a time, which is great for beginning kinders. Alphabet Bingo: This is a great game for kids to play in partners or small groups. 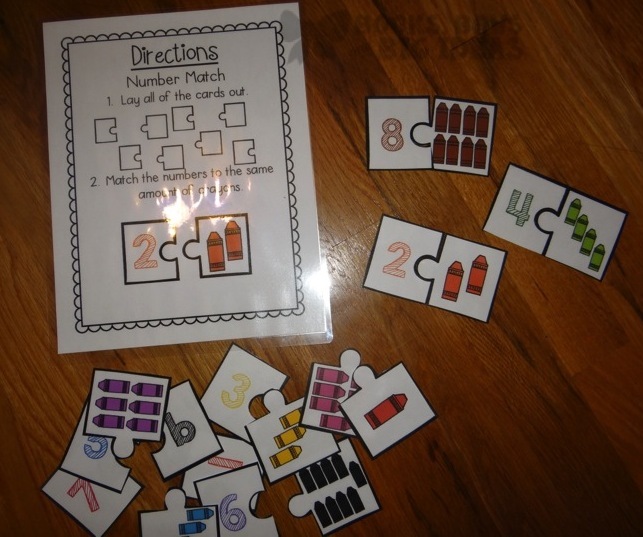 Number Match: These little number puzzles are so cute! You can get them for free by clicking the picture below. If you liked these games and want to get these plus more, click the circle below.